In Outliers: The Story of Success, Malcolm Gladwell describes how airline pilots who adhere to strict hierarchies in the cockpit may be more dangerous fliers. He makes the case that Korean Air’s poor safety record in the 1990s may have resulted from a highly authoritarian culture in the cockpit. “You are obliged to be deferential toward your elders and superiors in a way that would be unimaginable in the U.S.,” he says in a Q&A with Fortune Magazine. And that deference, he claims, can lead to poor communications. Several years ago, I interviewed a retired airline captain who confirmed the idea that strict cockpit hierarchies can make for an eroded in-flight safety environment. She flew for one of the major carriers starting in the late 70s, a time when (according to her) many captains ruled their cockpits like dictators and intimidated crewmen into silence. They were brilliant pilots, but—one could argue—not such great corporate leaders. First officers, she told me, were often afraid to speak up, even if they felt that a dangerous situation was unfolding. In an environment where subordinates fear punishment for questioning their bosses’ decisions, a crewman might fail to mention something about the flight that’s worrying him. And the captain might fail to listen if a crewman does speak up—to potentially catastrophic effect. Airline leaders eventually realized that an aircraft flown by two skilled pilots working as a team was a safer aircraft. My captain friend describes a cockpit culture that gradually became less authoritarian and more collaborative. By the time she became a captain and an instructor-pilot at her airline, the culture of “crew resource management” was firmly in place. 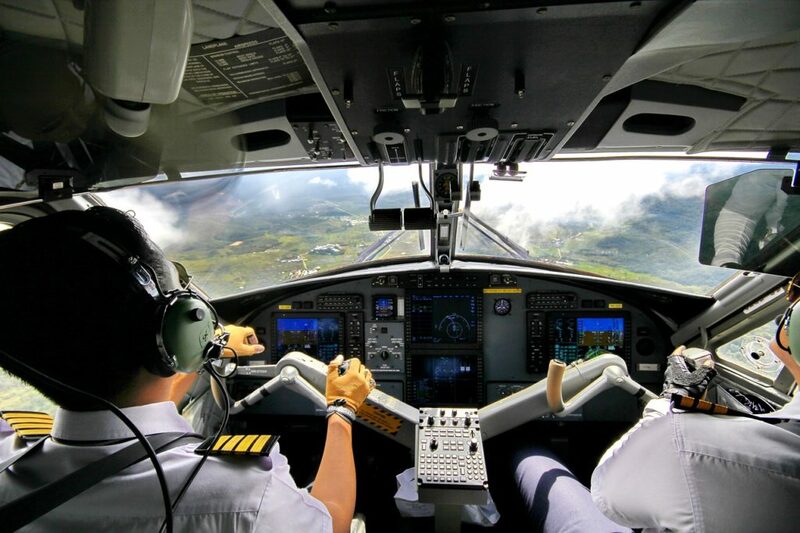 “Crew resource management” is pilot-speak for using the skills of everyone in the cockpit, delegating responsibilities, and leading based on mutual respect (instead of fear). In your investigations business, the stakes might not be quite so high. But communicating clearly (and managing your human resources well) still matters to your bottom line. How are your relationships with contractors, employees, and co-workers? Transparent and comfortable, or tense and rife with suspicion? Are they based on mutual respect and trust, or do power struggles and intrigues dominate the office? Solidifying these relationship can save you time, money, and heaps of frustration. When it comes to being a great boss, think back to Gladwell’s discussion of cockpit culture: Are your employees too intimidated by you to let you know about problems with their cases? Are they too afraid of punishment to admit mistakes before they become catastrophes? Do you empower them to work independently or second guess their every move? Good leaders hire smart people and trust them to do their jobs well. They make it clear what they expect from contractors. They do not micromanage, nor do they excoriate employees for every small oversight. They welcome feedback, even if it’s critical. Most of all, they pass on the credit when an employee or subcontractor does a great job. Doing these things inspires loyalty in employees and colleagues. When staffers feel they’re treated fairly, they’ll be invested in seeing your business succeed—and everyone wins. And communicating clearly can also help prevent needless workplace errors, frustration, and wasted energy. Clear communications can also smooth relationships with the people who hire you. Before you ever agree to take a case, it’s vital to have a detailed, honest intake interview. You want to be sure the client knows what you can and will do, and what you can’t and won’t do. You want to understand what exactly your client hopes the investigation will achieve, whether that outcome is attainable (and at what cost), and how specifically the information will help his case. Clarifying all that up front with a client can save dozens of hours, thousands of dollars, and a lot of disappointment on all sides—even though sometimes, the information you gather might convince you that it’s best to decline the case. And for attorneys who hire you, it’s probably better to under-promise and over-deliver than to agree to impossible deadlines or unattainable work product. It’s also a good practice to quickly figure out an attorney’s preferences: Some want to be updated constantly; others may appreciate weekly mini-reports by email, and some may simply trust you to get the job done, without filling their inboxes with questions and updates unless an urgent legal issue arises. Whenever you communicate at work, whether by email, phone, text, or in person, be sure your audience knows exactly what you mean. If they don’t, be prepared to clarify.